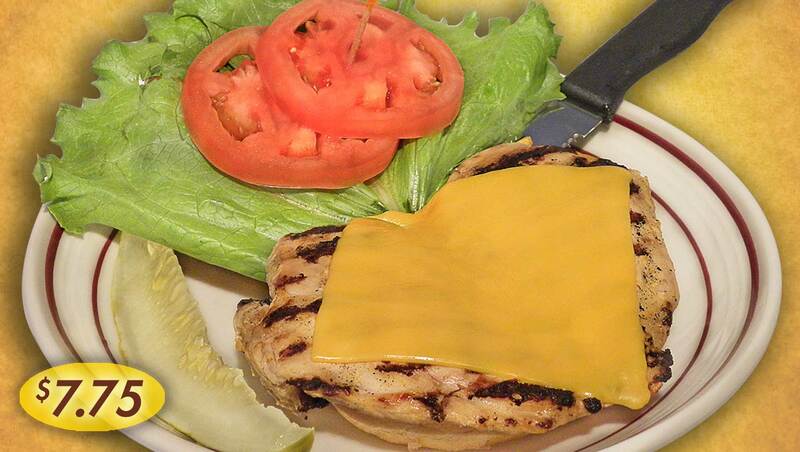 Choice angus beef grilled with American and Provolone cheeses & a few of our fresh cut fries… topped with lettuce, mayo and Rockne’s® dressing on a buttered grilled bun.. 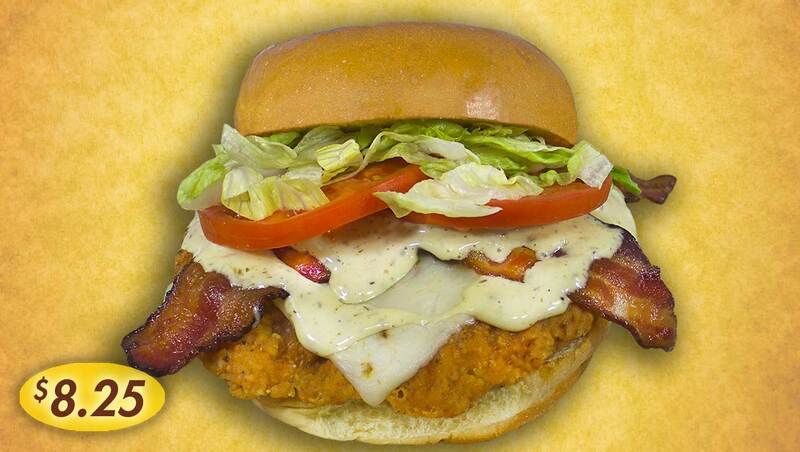 Plump breaded chicken tenderloins with your choice of cheese, bacon, topped with lettuce and tomato on a buttered grilled bun with a side of Max sauce. 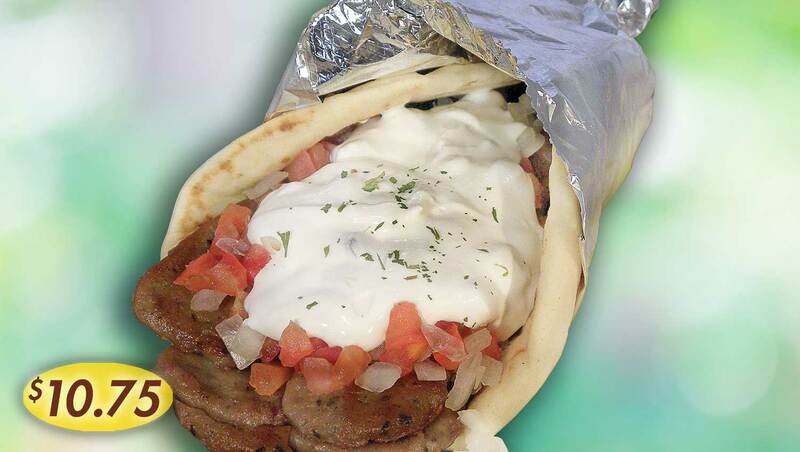 A TERRIFIC combination of lamb and beef together with Greek spices… served on warm pita with tomatoes, onions and our house (tzatziki) sauce. 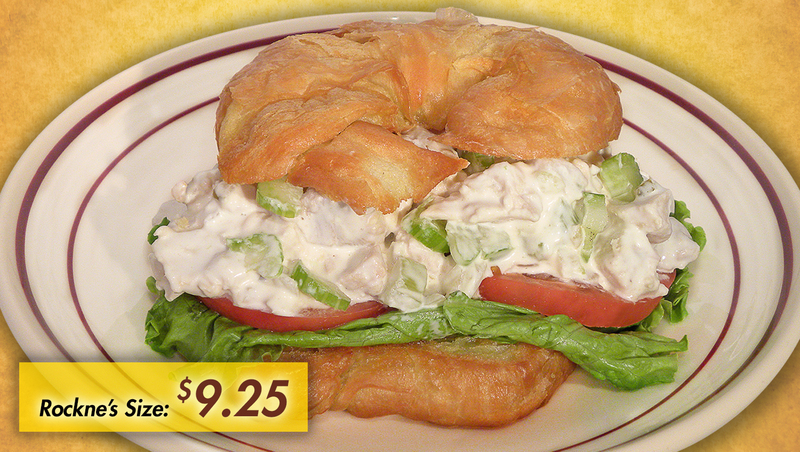 Fresh homemade chicken salad piled high on your choice of a grilled croissant or Wheatberry bread… with lettuce, tomato & your choice of cheese. 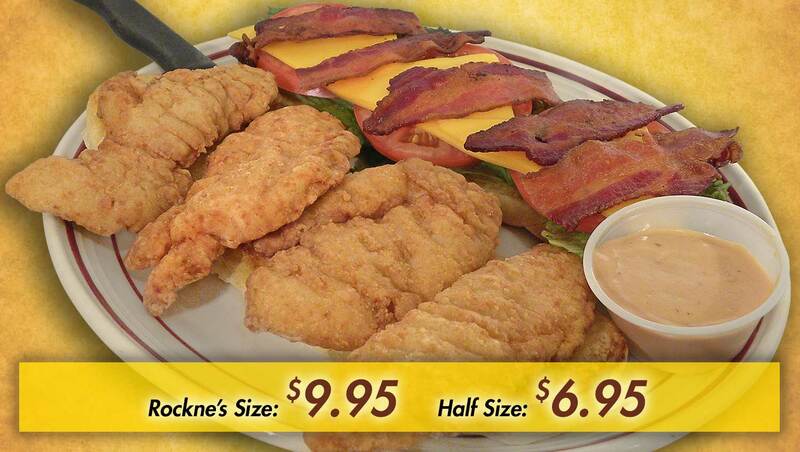 “Platterize” Your Sandwich With an Order of Our Fresh Cut Fries. 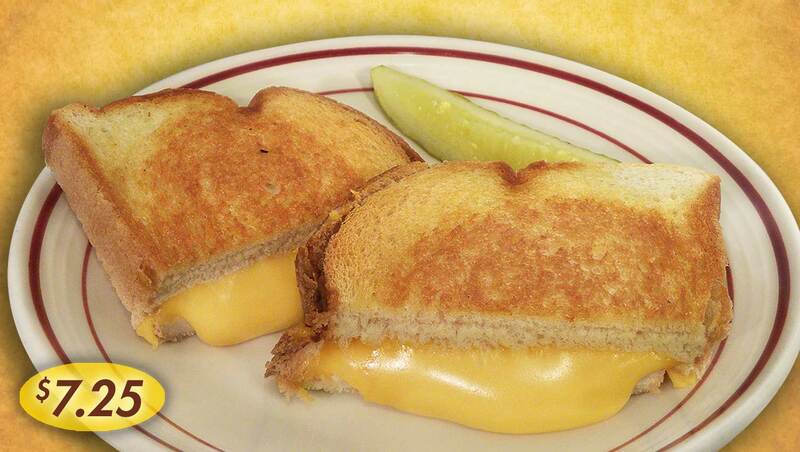 Some of Our Sandwiches Can Be Ordered On Gluten Free Buns… Just Ask! 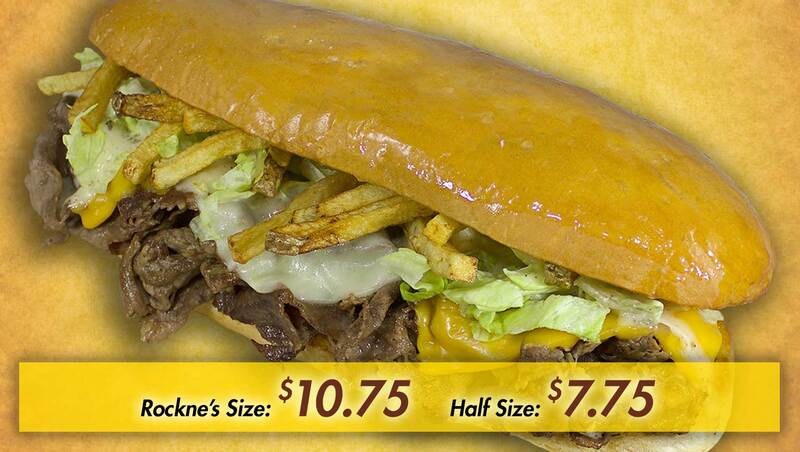 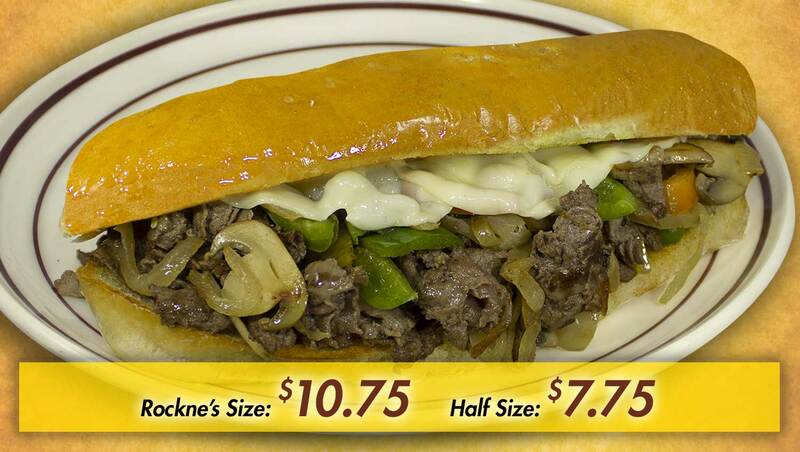 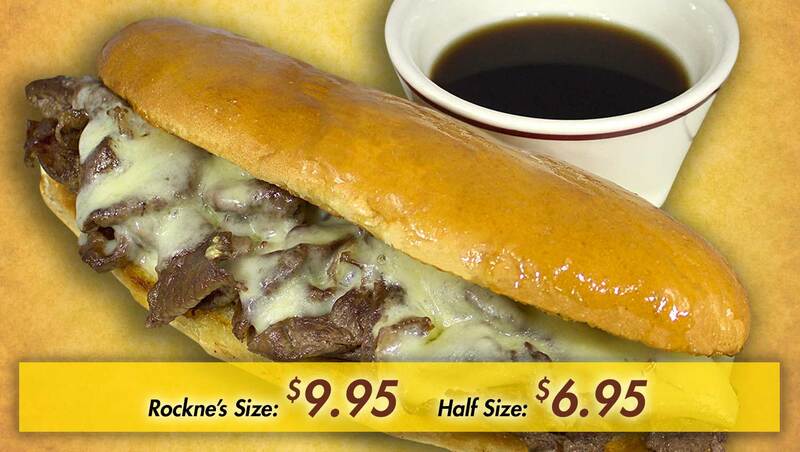 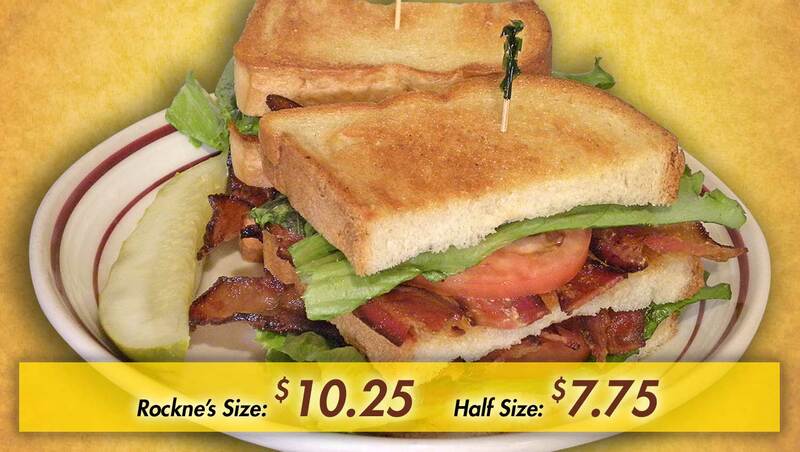 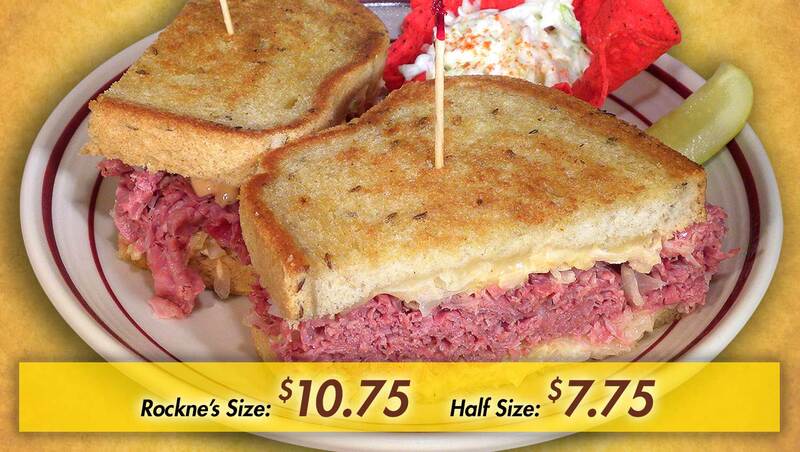 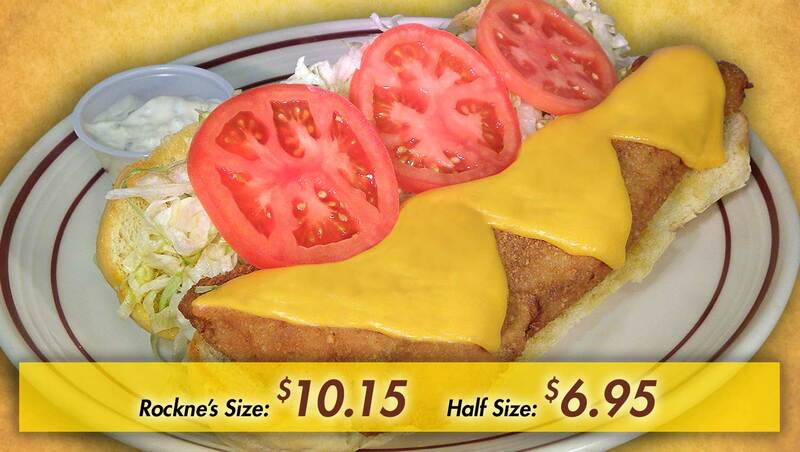 Also available to order: Combo size sandwiches equal HALF SIZE of our Rockne's size sandwiches.